MPLS and related technologies (Virtual Private Networks, EVPN, Traffic Engineering, and Segment Routing) are a complex set of technologies and protocols used in numerous large-scale networks. If you want to master them, Ivan's books might help you get there, if you wonder whether MPLS is applicable in enterprise networks Enterprise MPLS/VPN webinar is what you need, but if you're just interested in getting a reasonably detailed overview this free webinar is exactly what you're looking for. Implementing BGP-free MPLS code with Segment Routing. Ivan Pepelnjak, CCIE#1354 Emeritus, is an independent network architect, book author, blogger and regular speaker at industry events like Troopers, Interop, and RIPE and regional NOG meetings. 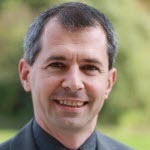 He has been designing and implementing large-scale service provider and enterprise networks since 1990, and is currently using his expertise to help multinational enterprises and large cloud- and service providers design next-generation data center and cloud infrastructure using network automation, Software-Defined Networking (SDN) and Network Function Virtualization (NFV) approaches and technologies. Ivan is the author of several books covering internetworking and data center technologies, highly praised webinars, and thousands of technical articles published on his blog.